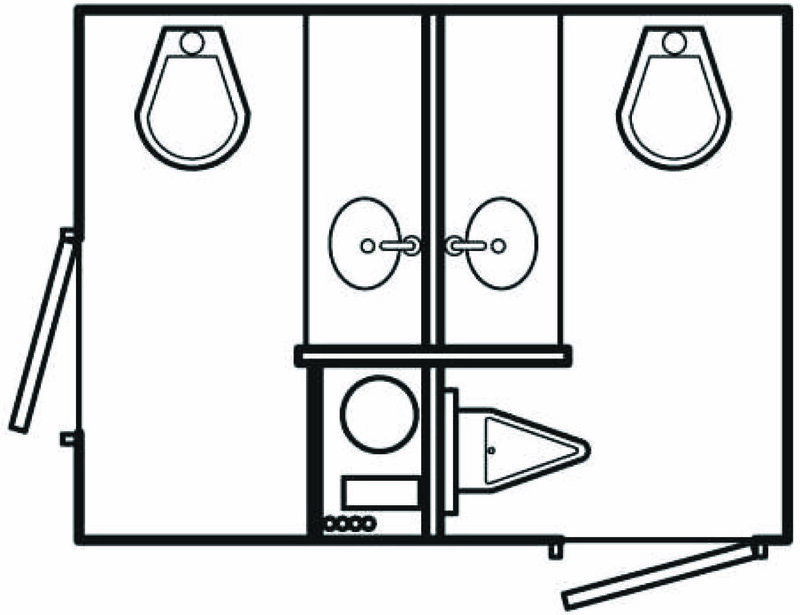 The amenities found in the LUX-2 represents the pinnacle of available luxury in a washroom trailer. This unit rises to the level of the most lavish events with fine crafted maple woodworking, marbled walls and speakers throughout. A level of opulence once thought reserved for indoor events is now available to you anywhere. External 96" X 100" X 132" and tongue at 40"
Footprint required: 180" X 160"
Client can use an optional 2 X 120 15A adapter but air conditioning or heating will have limited capacity.